December marked the one-year anniversary of our involvement with SafePark. While not perfect, it was a year of mostly reminders that this is a worthwhile ministry and EBC was wise to get involved. For those of you who aren’t familiar with SafePark, it is a program designed “for those who are working to stabilize their lives while sleeping in their cars”. SafePark partners with churches to provide a safe and legal place (the church parking lot) to park overnight. This also allows the church to connect with these individuals for the purpose of outreach and evangelism. We have seen 39 different people in 27 cars come through our parking lot as guests. 13 of them are now in housing, including most recently two of our long-time guests. These two former guests were women in their 70s! They now have a roof over their head because one of our EBC sisters worked tirelessly to see that it happened. Thank you! This same individual has orchestrated a year of monthly dinners for our guests. Together, with about six to eight other church members, my family has had the joy of getting to know many of our guests. Each one has a story and each one has been so thankful for our love and care for them. My wife Annette loves to share the story of how Lynn, before he left to live in the Philippines with his new wife, gave my boys his collection of baseball cards. What a teaching moment it was! 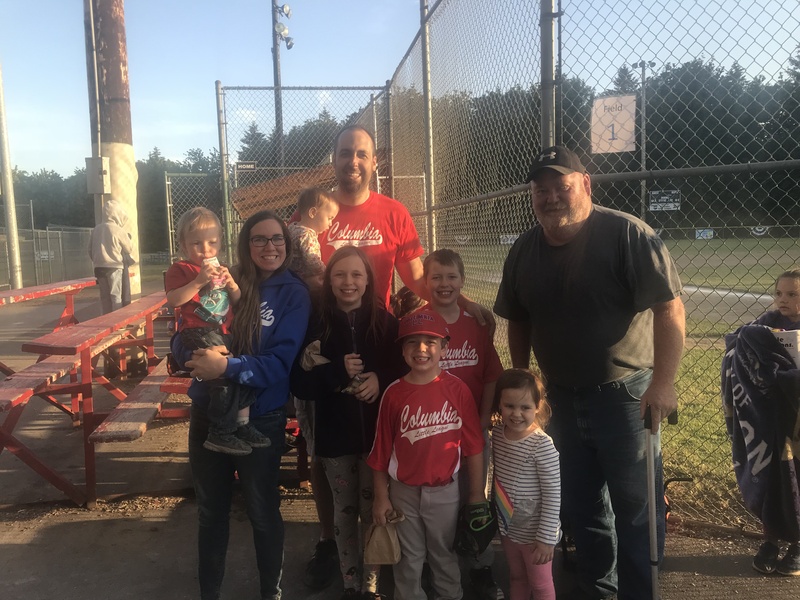 We also love that he and one of the SafePark couples came to cheer at our children’s little league games. Many of our guests have attended our church movie nights, visited our church services and one couple even attended a New Attenders Life Group. Recently, one of our four current guests has become very active in the church. She’s been attending services and functions (including the ladies new faith and fitness class) and professes faith in Christ. Please pray for this sister in Christ. She became a widow five years ago and has struggled with her health ever since. My hope and prayer is that someone in EBC with an extra room will ask God if they should offer it to her, at least until the warmer months. Thank you for your support of this wonderful ministry and praise the Lord for how He’s used it and how He plans to use it in 2019! Please pray for SafePark! If you’d like to be a part of this ministry in some way, if God lays it upon your heart to possibly help our SafePark widow, or you have questions, please contact me.